Fellow Woodturners, The next CCW meeting is Tuesday, June 5, 2018 beginning at 6 PM at the Lyndon House Arts Center, 293 Hoyt St, Athens. Marvin Payne will be our demonstrator. Marvin is a member of our club and has been turning for a number of years. He will be turning a natural edge winged bowl. He will turn this from a piece of log and will also demonstrate safety tips and techniques that need to be followed. Following these safety tips and techniques, the process of turning a winged bowl can be done by most turners. Marvin has worked with this technique at both the John C Campbell Folk School on five different occasions, including as an instructor and also at Arrowmont under the guidance of David Ellsworth. We are very fortunate to have Marvin for our June meeting and we need to have a good turnout. Bring a guest or visitor and also don’t forget to bring something for our raffle. If you haven’t paid 2018 dues remember to bring $30 for an individual membership or $35 for a family membership. Our next meeting is Tuesday, May 1, 2018 at the Lyndon House Arts Center, 293 Hoyt St, Athens. The meeting begins at 6 PM. The demonstrator for the month is John Lucas who is a nationally recognized wood turner. John is a retired University photographer. He has been turning wood for about 35 years and has made a “ little of everything”. He is known for his hand mirrors , ornaments and miniatures He will demonstrate how to turn a hand mirror with an off center design as well as an off-center pendant. 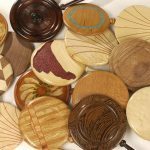 John has written many articles for American Woodturner, More Woodturning, Woodturning Design, Woodturning Fundamentals and Woodturning. John has demonstrated at National symposiums as well as many regional symposiums and clubs. He is also known for turning one of the smallest goblets in the world which stands about as high as 5 human hairs. Take a look at the attached pictures showing hand mirrors that John has provided. John has demonstrated for our club in the past and always has an excellent program. Both the mirror and pendant should be very popular items for children and grand children to give for mother’s day presents. As time permits John will discuss finishing his turned items using an airbrush spray system. Plan on being at this meeting and lets have a big turnout for John. He is donating his time for this demonstration in order to help our club. Bring a friend and bring items for our raffle. Also remember to bring dues for 2018. Dues are $30 for an individual or $35 for the family – a true bargain. 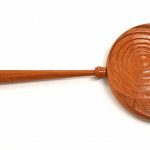 Fellow Woodturners, our next CCW meeting is Tuesday, April 3, 2018 at the Lyndon House Arts Center, 293 Hoyt St, Athens. The meeting begins at 6 PM and concludes at 8:30 PM. The demonstrator is our own Jim Talley doing off-center, multi axis turnings. This should be of interest to all levels of turning experience. We will be collecting 2018 dues which are $30 for an individual or $35 for a family. Remember to bring a friend and something for the raffle. Also, please see the next post down, click on the document link, complete the questions and email them to Justin. After the March 6, 2018 meeting to determine the future of the club, it was decided to continue . The next meeting will be on April 3, 2018 at the Lyndon House Arts Center beginning at 6 PM. The club will begin collecting 2018 dues of $30 per individual or $35 per family. It was also decided to initiate a survey to gauge the interest and solicit input for the continued future of the club. 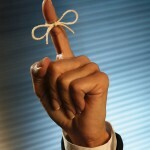 It is important for you to participate in scheduled meetings. Increased attendance at monthly meetings is one of the main goals that the club feels will be the answer to many concerns. So, participate now by responding to the attached survey and email your response to me at Justin.reese@charter.net . More on the demonstration for April will follow.